End-to-end marketing & technology solutions for your restaurant needs. Branded web & mobile online ordering platform with customer analytics. 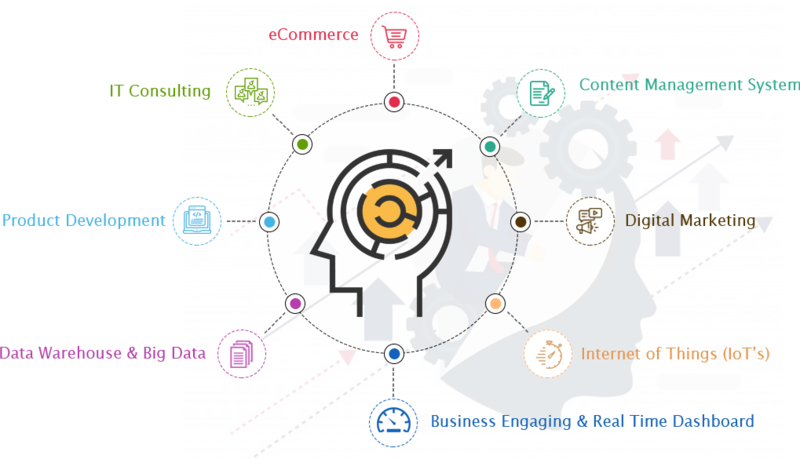 Features that will help to elevate your business and ramp up your revenue. Restaurant POS system that will help you power up your operations & services. Keep track of stock consumption & save recipes through one platform. 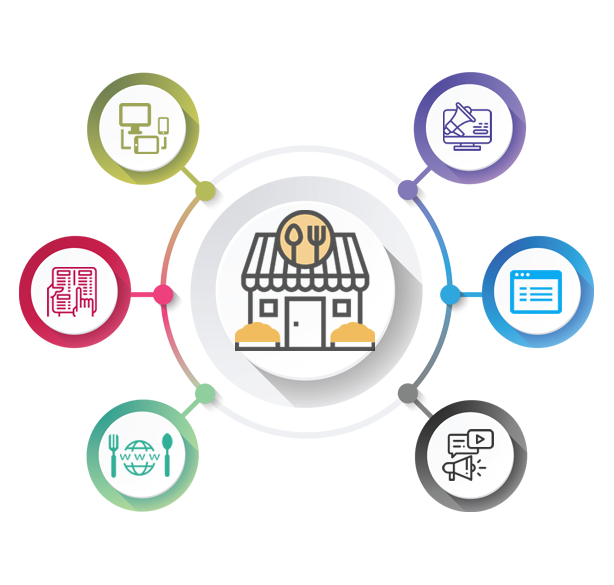 A portal to increase revenue potential for restaurant & catering industry. Reach out to a wider audience and keep them engaged through our services. Increase sales by saving time & increasirigconvenience. Take your hotel online with attractive and responsive website. 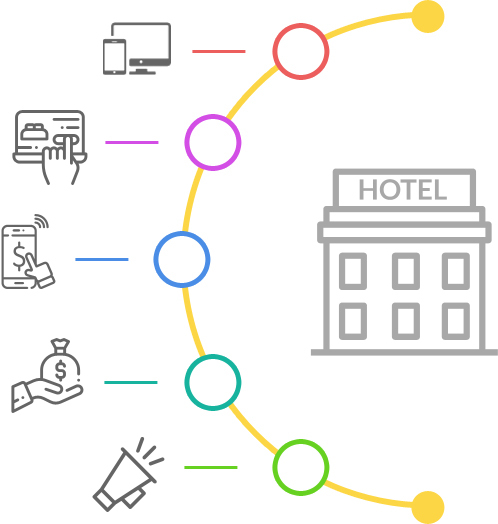 The surest way to accelerate your direct booking and increase hotel revenue! Easily accept direct guest payments with easy pay feature. Create various packages and update anytime, anywhere! Attract bookers by creating and offering promotional offers & discounts. 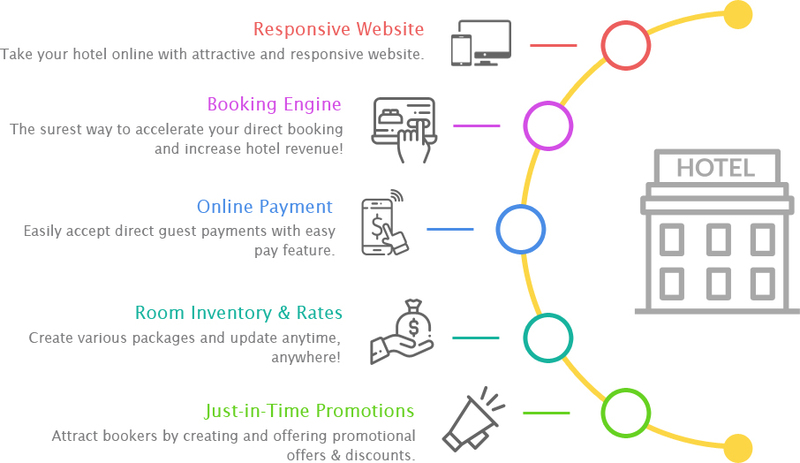 Beautiful interface powered by advanced technology to enhance your hotel's online sales. 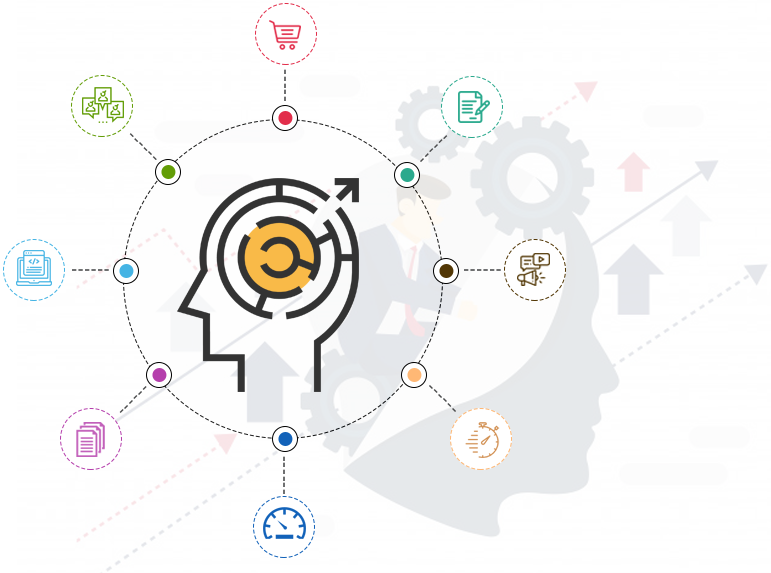 Solutions that are custom tailored for unique business requirements. We help to build highly quality and creative website for your business which is highly responsive. Your customers can go cashless now! Start accepting secured payments on your website in minutes. We help register domain names for your website that is user friendly, your brand name and above all SEO friendly and this all best price. Our state-of-the-art technology and servers assure prime performance guarantee, all the time! We are committed to providing you excellent secure database stored on latest servers, with back-up and restore facility, all the time. Our expertise and experience in SEO guarantees your website top rankings in search engine results pages of Google, Bing and other local listings. We deliver results driven marketing for the business wanting to grow. Reach support any day of the week, our team is on call and proactively assist you with any query. Working with hundreds of clients globally! Check out on what our customer has to say! "Cluck-U, Corp.. Its Officers and its Staff find Vrindi very helpful and punctual in is delivery and supports We are extremely satisfied with their help in increasing our Corporate Merchandise sales using RestauraniWave Technology We receive prompt and immediate supports, will continue to have Vrindi for our main IT supports, development of our website and we intend to have use of their other products and Internet needs." "I have been working with the team from Vrindi for the past year. I am very happy with the website they built. I have now engaged them to help us with our marketing and SEO and we are seeing early promising results. Very happy to them working for me." "I have been working with Team Vrindi for over a year. They do put customers first and believe in solutions then excuses. Truly a great company, that gets the job done. Keep up the good work!!"